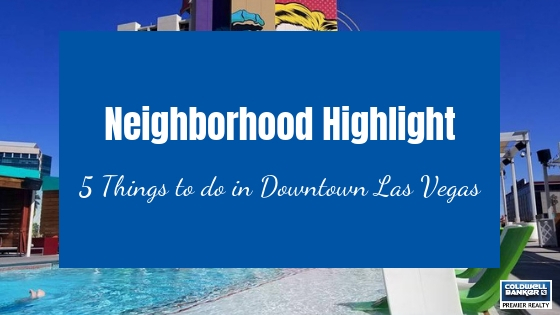 Curious about Downtown Las Vegas, but do not know where to start? Over the past 15 years, Downtown Las Vegas has emerged from the shadows of the Strip and is getting another upgrade in March 2019 with the development of Treehouse Las Vegas, a multi-level entertainment complex. Coldwell Banker Premier Realty’s Strategic Services team, Brian Krueger and Lance Hamrick, represented the owner and tenant in this landmark transaction. Brian had this to say about the project. Read more about this project on Las Vegas Review-Journal. 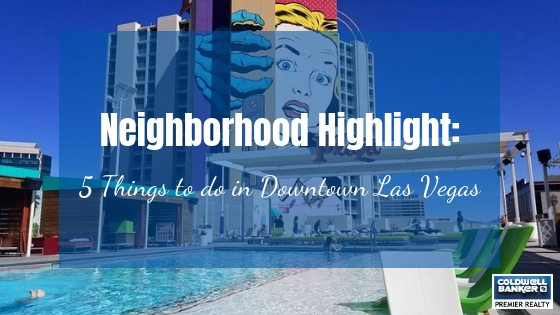 With an ever-growing number of restaurants, museums and attractions, here are five activities you can do right now in Downtown Las Vegas. Main Street, brimming with shopping, bars, coffee shops and art galleries, is a destination that offers something for everyone. Las Vegas has spent 4 years on the “Main Street Couplet” project, creating more parking options, widening sidewalks and adding landscaping to enhance the area’s walk score and create a more sustainable community. The project is finally complete. The opening of Main Street was celebrated on Thursday, September 6th, with a grand opening block party hosted by Rebar LV. Downtown has a growing millennial population that is creating a wonderful community of artists, musicians and business owners. A major supporter in the revitalization of the area is Fergusons Downtown. One Sunday a month they host a market on Fremont Street (between 10th and 11th St.) dedicated to the talented members of this community. With everything from Yukon Pizza, a pop-up pizza company with a 120-year-old sourdough legacy to handmade soaps to vintage curators, this experience is a must. The Downtown Las Vegas events center has created the world’s largest free football viewing party. And we do mean party! Reserve a table, hang out at the bar, take a swim in the pool or even rent out your very own “mancave” while viewing all 2019 regular season games. Not a football fan? They also host watch parties for our beloved hockey phenomenon- Vegas Golden Knights. Learn More about this event on their website. A speakeasy rooted in American history, upon arrival you will be instantly transported back to a time long before cell phones and social media. Delight in the industrial atmosphere and enjoy one of their exquisitely crafted cocktails and the sounds of their in-house piano player. This hidden gem is the perfect date night spot for couples wanting to escape the hustle and bustle of the Fremont Street experience. In fact, The Laundry Room is so off the grid we can’t even tell you where it is. Check out their Facebook Page for more details on how to make a reservation. The Downtown Grand is the perfect place to take a mini staycation and unwind after a long week. Free to locals, their rooftop Citrus Pool Deck offers an authentic downtown Las Vegas experience. This outdoor oasis boasts a sparkling infinity pool, fire pit and an array of backyard games to enjoy with friends. 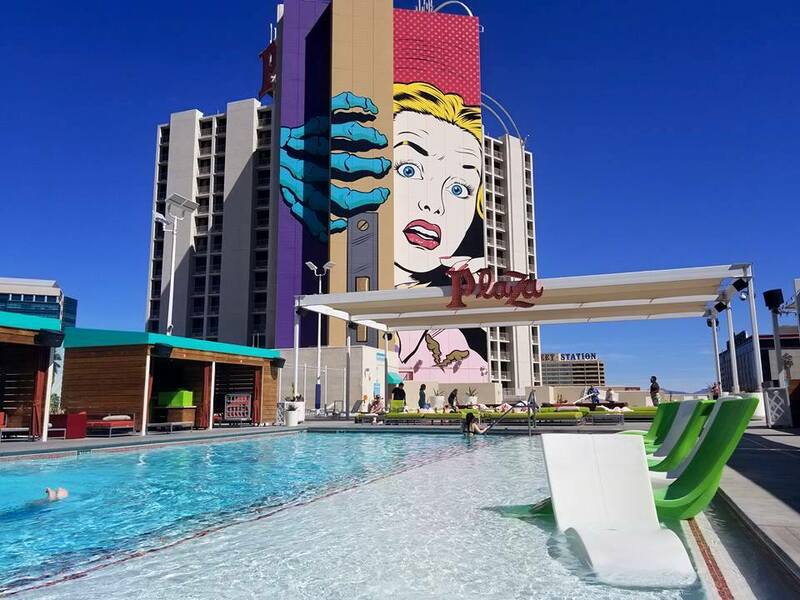 Situated in the heart of the district, the Downtown Grand offers unique views of locally themed and painted murals on the surrounding buildings, encapsulating the overall Vegas experience. What do you think about the developments coming to Downtown Las Vegas? Let us know in the comments below.